*PICTURES* Say, Ya Wanna See 50 Weird Looking Cars? …………………Click on the image below to view them all. The Washington Post was already skating on thin ice with its fantastically convenient hit piece on Mitt Romney, published in perfect synchronization with President Obama’s embrace of gay marriage. Designed to paint Romney as a mean-spirited homophobic bully during his prep school days – which, let us remember, occurred over seventeen thousand days ago – the ridiculously bloated and overly-dramatic 5000-word Post “expose” related the story of how Romney allegedly led a gang of high-school hooligans and forcibly cut the hair of a “presumably gay” fellow student named John Lauber. The piece does a great deal of mind-reading to insinuate homophobia, and in an amazing set of concluding paragraphs, heavily implies that Romney essentially murdered this poor kid with his scissors – it just took his body four decades to collapse around his broken spirit. John Lauber died of liver cancer in 2004, an even the Post dramatically contrasts with Romney accepting the Distinguished Alumni award from the Cranbrook prep school, concluding with a melancholy salute to Lauber’s hair, which he never stopped bleaching blond. The Post based this hit on testimony from five men who “mostly lean Democratic,” including one who was a volunteer for the 2008 Obama campaign. No one else seems able remember the incident taking place. Including, as it turns out, both a friend of Romney’s that the Post openly and fraudulently asserted had “long been bothered” by the haircut hazing… and the “victim’s” own family. Romney friend Stu White dropped the first bombshell on the Washington Post’s phony story, telling ABC News “he was not present for the prank, in which Romney is said to have forcefully cut a student’s long hair, and was not aware of it until this year when he was contacted by the Washington Post.” The assertion that he was “long bothered” by Romney’s alleged display of full-contact barbering was entirely false, and there is no way to claim it was not a deliberately false impression inserted into the Post story, since they knew perfectly well that they are the ones who told White about it, just a few weeks ago. Wow. Just… wow. The Post apparently didn’t bother clearing their smear job with the victim’s family, even though they interviewed both Christine and Betsy Lauber for the piece. They thought they were contributing to a respectful tribute, not an ugly partisan hit. Christine Lauber told ABC News that her brother never mentioned the allegedly life-destroying traumatic incident related by the Washington Post, and “probably wouldn’t have said anything” even if something like it did happen, because he presumably was not the fragile character he has been portrayed as. Furthermore, she tearfully insisted that “if he were still alive today, he would be furious” over the Post story. This was a colossally stupid move on the Post’s part. How often do people have to be reminded that the Internet never forgets? That caches and screen grabs of dishonestly edited material rest comfortably in the hands of media watchdogs? ABC mentions that some other, as yet nameless, classmates of Romney are eager to dish dirt on his teenage misbehavior, although no one seems ready to corroborate the Lauber hair hazing incident. That effort will misfire badly, and solidify support for Romney from a public sick unto death of attempts to distract from Barack Obama’s record in office. They’re almost equally sick of journalistic double standards. They’ve been hearing for years that even the most reasonable inquiry into Obama’s shadowy past – even simple requests for ordinary documentation – are completely out of bounds, and can only be motivated by racial animosity. But now they’re supposed to sit still while a bunch of 60-year-olds are trotted out to reminisce about what a handful Mitt Romney was, during his school days in 1965? All because Obama hatchet man David Axelrod needs to spin a campaign narrative that plugs into the “gay marriage” and “bullying” crusade? At this point, the most interesting “journalism” remaining to be done on the Teen Mitt haircut incident is determining whether Axelrod was directly involved in crafting the Post story. Does anyone want to leak some internal emails so we can get the ball rolling, and find out if there were direct, documentable ties to the Obama campaign? Or did the Post cook this up on their own, taking the initiative to offer journalistic support after being told the Obama gay marriage flip-flop was coming, with one eye fixed nervously on the President’s cratering poll numbers? This is already the most spectacular case of journalistic malpractice since George Zimmerman became the world’s pre-eminent “white Hispanic.” Let’s take this baby into the stratosphere and leave some chemtrails! It’s really interesting the way the Washington Post chose to end their article, by noting that Romney received an alumni award just a year after John Lauber’s untimely death. You know what happened a year before Lauber lost his battle against liver cancer? A boat carrying a family of four, two friends, and the family’s dog sprang a leak on Lake Winnipesaukee, dumping them into the dark waters of early evening, and leaving them to howl in terror as other boats zipped around them. Mitt Romney and two of his sons happened to be vacationing in the area. They jumped onto jet skis and raced to the rescue. Governor Romney was pulled off his jet ski at one point. They even saved the dog, a Scottish terrier. A couple of years before that, Romney performed a similar rescue for a group of kayakers who were shoved onto hard rocks by fierce winds. In 1996, the fourteen-year-old daughter of a Bain Capital partner was kidnapped. When Mitt Romney learned of this, he shut down the entire multi-million dollar firm and flew the entire staff to New York, so they could help look for the girl. Romney hired private detectives, set up a toll-free tip line, coordinated with the NYPD, papered the streets with fliers, contacted every Bain customer in the city, and personally hit the bricks with the Bain crew to join the search. They found her, just in the nick of time – she was dying from an overdose of drugs in a New Jersey basement. She was only rescued because someone saw news coverage of Romney’s search efforts. Thirty years earlier, Mitt Romney was a high school student who may, or may not, have been slightly more of a jerk than the average teenage boy. How’s that for an “evolution?” Why on Earth would any reasonable person think his high school misadventures tell us more about his character than his deeds later in life? Horsefeathers. White didn’t “clarify” anything in a “subsequent interview.” The Post author invented that false assertion out of thin air. A man who sits in a federal prison in Texarkana, Texas, was picked by 41 percent of West Virginia Democrats in Tuesday’s presidential primary. Keith Judd received 72,544 votes compared to President Barack Obama’s 105,854. In 10 of West Virginia’s 55 counties, Judd received more votes than Obama. Judd, 53, is a perennial candidate. He repeatedly has run for president as well as for mayor of Albuquerque, N.M., and for governor of New Mexico. He filed to run on the ballot for president in 14 states in 2008, but only appeared on the Idaho ballot, according to Wikipedia. 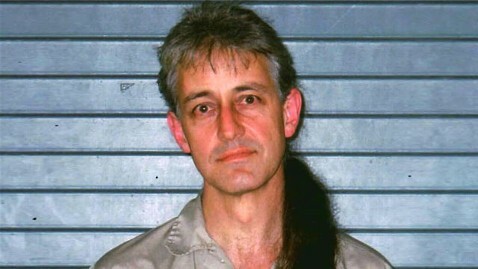 Judd – Inmate No. 11593-051 at the Federal Correctional Institution in Texarkana – was on the West Virginia ballot because he paid his $2,500 filing fee and submitted a form known as a notarized certification of announcement, according to Jake Glance in the West Virginia Secretary of State’s office. However, Judd won’t have any delegates at the Democratic National Convention. Derek Scarbro, West Virginia Democratic Party executive director, said no one filed to be a delegate for Judd. He also said he didn’t think Judd had filed the proper paperwork. Judd is in prison after being convicted in 1999 on two counts of “mailing a threatening communication with intent to extort money or something of value” after he made threats at the University of New Mexico. He was sentenced to 210 months in federal prison. He has appealed his conviction dozens of times, but each appeal has been dismissed. West Virginia Republican Party Chairman Mike Stuart called the results “a remarkable rebuke” to Obama. “While (U.S. Senator Joe) Manchin and (Gov. Earl Ray) Tomblin waffle to hide their support for the President, nearly 40 percent of West Virginia Democrats said they would prefer a convict in a Texas prison over Barack Obama,” Stuart said. “The real shame is that any legitimate Democrat challenger to President Obama would have won and that is the story across the country. Stuart said Obama’s lack of support in West Virginia is a result of his stance on coal. “The people of West Virginia understand that this President has declared war on West Virginia coal and West Virginia jobs,” Stuart said. “West Virginians understand that this President must be defeated in November and new Republican solutions put in place to create a stronger, better economy. Meanwhile, Stuart expressed excitement for Republican candidate Mitt Romney’s overwhelming victory in West Virginia. “The voters of our state are conservative, both fiscally and socially, and they will not support the out of control spending and regulation of the Obama Administration even if the West Virginia Democratic establishment continues to stand with him after tonight’s embarrassment,” Stuart said. “We are looking forward to a huge victory for Mitt Romney in November because West Virginia cannot risk another four years of Barack Obama and his Democratic War on Coal. The 10 counties that had more voters picking Judd than Obama are Boone, Clay, Gilmer, Hardy, Lincoln, Logan, Mingo, Tucker, Webster and Wyoming. Under hobbies and special talents, he lists bowling a perfect 300 game as well as ESP and fortune telling. * Under education, he said he’s “attended” The Kennedy School of Government at Harvard, UCLA, the University of New Mexico and Bethany Nazarene College. KABUL – The United States has for several years been secretly releasing high-level detainees from a military prison in Afghanistan as part of negotiations with insurgent groups, a bold effort to quell violence but one that U.S. officials acknowledge poses substantial risks. “Several years” is a little vague, isn’t it? Why do we suspect that this has been going on for about three and a half years? As far as we know the attempts to negotiate with the Taliban started under Obama. So the wording of this sentence would seem to confirm our suspicions that this also started under Obama. But the releases are an inherent gamble: The freed detainees are often notorious fighters who would not be released under the traditional legal system for military prisoners in Afghanistan. They must promise to give up violence – and U.S. officials warn them that if they are caught attacking American troops, they will be detained once again. For the record, the current recidivism rate for released terrorists is only about 28%. Or more than one out of four of these freed terrorists return to the battlefield. But we are warning them that if they do, we might detain them again! “Everyone agrees they are guilty of what they have done and should remain in detention. Everyone agrees that these are bad guys. But the benefits outweigh the risks,” said one U.S. official who, like others, discussed the issue on the condition of anonymity because of the sensitivity of the program. And the benefits are what again? Last month was the most deadly month for US troops in Afghanistan so far this year, with 33 of our soldiers killed. Unlike at Guantanamo, releasing prisoners from the Parwan detention center, the only American military prison in Afghanistan, does not require congressional approval and can be done clandestinely. And although official negotiations with top insurgent leaders are seen by many as an endgame for the war, which has claimed nearly 2,000 U.S. lives, the strategic release program has a less ambitious goal: to quell violence in concentrated areas where NATO is unable to ensure security, particularly as troops continue to withdraw. The releases are intended to produce tactical gains but are not considered part of a grand bargain with the Taliban. What kind of tactical gains are these? If we give you what you want, will you promise not to attack us? That is not “tactics.” That is paying tribute. TransCanada Corp. on Friday reapplied to the U.S. State Department for a presidential permit to build the controversial Keystone XL oilsands pipeline, immediately triggering a new fight with opponents over the scope of a coming environmental impact study into the project. In an interview with Postmedia News, TransCanada executive Alex Pourbaix said the Calgary-based company expects the Obama administration’s review of Keystone XL to be limited to the new rerouted portion of the pipeline through Nebraska. “Certainly our expectation is that the only required new review would be on the actual reroute itself… What we are talking, in the scheme of things, (is) a relatively modest reroute,” said Pourbaix, president of TransCanada’s pipeline division. The new application to the U.S. State Department includes new routes through the state of Nebraska, presumably designed to skirt environmentally sensitive areas which helped sink the earlier pipeline application. TransCanada submitted its new application for a presidential permit just two weeks after it proposed several new routes for Keystone XL that avoid the ecologically fragile Sand Hills region of Nebraska. President Barack Obama denied TransCanada’s original permit application in January, citing his administration’s concerns about the impact construction would have on the delicate topsoil in the Sand Hills region and the potential for pollution of the vast Ogallala Aquifer that underlies the area. Because the $5.3-billion pipeline’s planned U.S. route remains unchanged through Montana and South Dakota – which already approved Keystone XL – no new environmental study needs to be done there, TransCanada says. The company has split the original southern portion of the pipeline – from Steele City, Nebraska, to Port Arthur, Texas – into a separate project that does not require new approval and already has Obama’s support. But U.S. green groups are already raising objections to TransCanada’s push for a limited review of the pipeline. They argue that the earlier State Department study was flawed because it was conducted by a third-party contractor who had worked with TransCanada in the past. “The coming environmental review should not rely on the earlier inadequate environmental impact statement,” Susan Casey-Lefkowitz, director of the international program at the Natural Resources Defense Council, said in a conference call Friday with reporters. The Keystone XL pipeline would, if approved, carry 830,000 barrels of oilsands crude per day from northern Alberta to the Gulf Coast of Texas. TransCanada first applied for a permit to build the pipeline across the Canada-U.S. border in 2008. Russ Girling, the company’s CEO, said the project has already undergone “the most comprehensive” review in history for a cross-border pipeline. TransCanada is hoping for approval from the U.S. government in early 2013 and believes construction can be completed no later than early 2015. The Keystone Oil Pipeline is pictured under construction in North Dakota in this undated photograph released on January 18, 2012. TransCanada last month proposed a preferred alternate corridor for Keystone XL that avoids an area officially designated as the Sand Hills region by the Nebraska government. But environmentalists, and some Nebraska landowners, say the new route still crosses over areas that have similar characteristics to the Sand Hills and will be damaged by construction and a potential pipeline rupture. “We committed to the state of Nebraska we would reroute to avoid the Sand Hills,” said Pourbaix, noting that the company’s preferred new route adds only 32 kilometres of new pipeline. Pourbaix estimated that TransCanada will need to negotiate easement rights with about 200 to 250 new Nebraska landowners as a result of the reroute. TransCanada says it has “firm, long-term contracts” in place to ship more than 500,000 barrels per day through Keystone XL. Pourbaix said the company remains confident that industry support will remain despite recent talk that the pipeline is becoming less important as TransCanada’s competitors propose alternative projects to ship oil from Alberta and North Dakota’s Bakken formation. A year ago April, Doug and I were overjoyed by the news that our happy little blog had FINALLY broken through the 30,000 views-per-month (vpm) barrier we’d struggled desperately for sooooo long to breach. Not only did we attain that elusive goal, but we very nearly topped the 40,000 vpm mark as well, falling only 566 views short. Prior to that fateful month we’d been lucky to garner 27,000 views in a single month, and in fact had only averaged around 22,000 vpm over the entire year to that point, a trend which appeared sadly static and seemed to foretell of endless blogospheric mediocrity to come. But then something happened. The following month found us increasing our numbers by several thousand, and while the month after that dipped a bit in terms of viewership, our beloved DALEY GATOR remained above the wondrous 40,000 vpm mark we’d experienced in May, thus renewing our hope for an even brighter tomorrow. And brighter that tomorrow would prove to be, as our humble blog’s numbers continued to rise, shattering the 50,000 vpm threshold in July and then stabilizing at about the 55,000 mark for the following three months. Suffice it to say that the Gatorman and I were more than pleased by this unexpected turn of events, as you can well imagine. Then the month of November came along and revealed to us that THE DALEY GATOR’s viewership had lept – with several thousand hits to spare – above the 60,000 vpm bar we’d always expected would define our blog’s “top end”, and our happiness suddenly turned to exaltation. That was, indeed, a glorious month, yet December would cause us to experience a near-simultaneous blogasm (and no, that’s not a gay thing… perverts) when we became aware of the fact that THE DALEY GATOR’s viewership had suddenly smashed through the 80,000 vpm ceiling. Much to our delight, the year 2011 ended with our long-suffering blog topping 1 Million total viewers for the first time EVER! But wait, it gets even better than that. Following January-and February’s 80,000-plus vpm tallies, the month of March, 2012 brought to our table the tastiest of tasty vpm figures to date… 112,557. And now the numbers are in for the month of April, 2012. They are: 106,917 views per month. I know, right? It’s an astounding state of affairs, and I don’t blame you at all for wondering what could have possibly brought about the meteoric rise of THE DALEY GATOR over the course of the past year. Well, here’s the thing, Doug and I have posted more pictures of hot chicks since April of last year than we ever did over the entire existence of this blog prior to that time. That’s it. That’s the secret of THE DALEY GATOR’s success. WE EXPLOIT FEMALE HOTNESS!